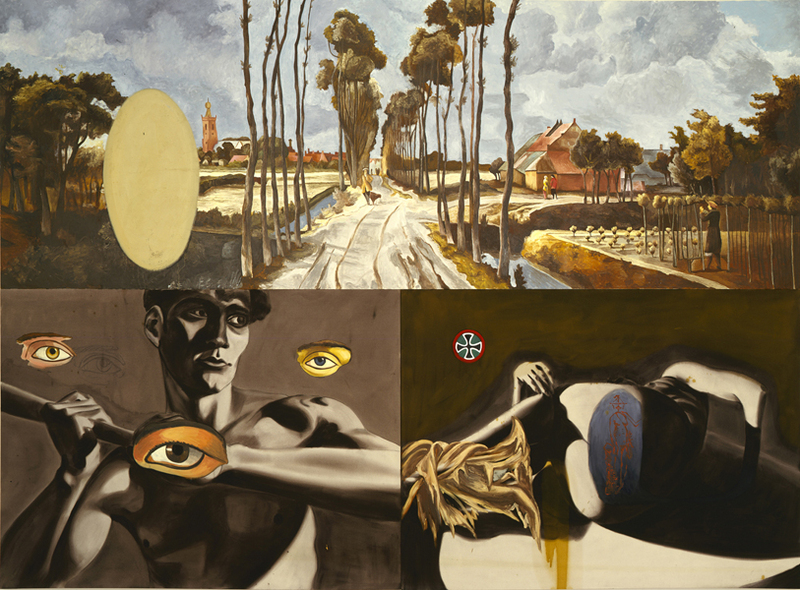 Landscape with Two Nudes and Three Eyes, 1986. Oil and acrylic on canvas. 102 x 139 inches.